The Targa series can be customize with a wide range of upholsteries. We have at your disposal samples that we can send to you free of charge, against deposit, to help you in your choice. Frame beech, natural, painted in black or white. Woven cane. Wooden or brass legs. 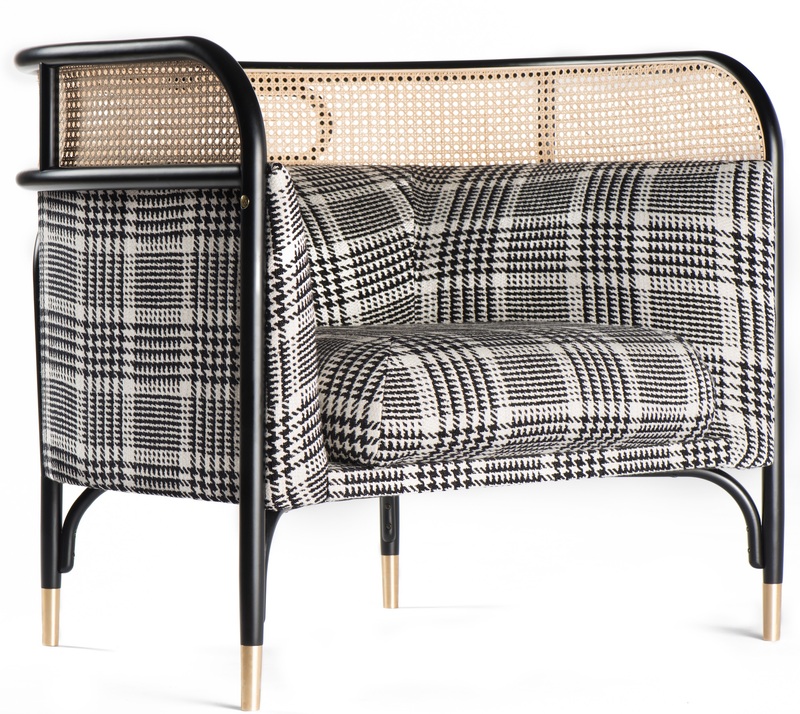 GamFratesi is an Italian-Danish duo of designers whose furniture is a clever mix of style between Italy and Scandinavia. It is not surprising that the name of the collection comes from an Italian word – Targa, which means plate in English. This term has inspired the two designers. 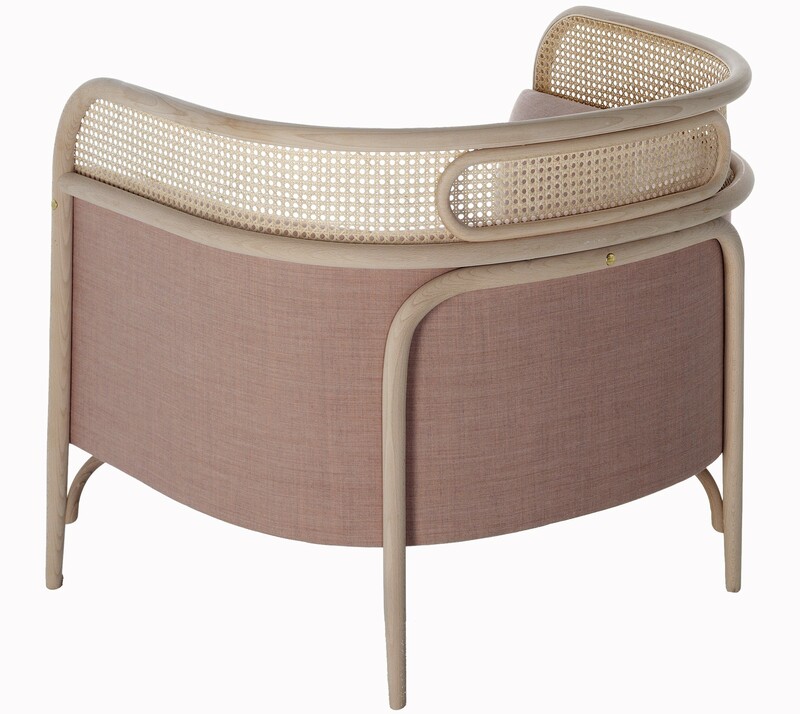 The higher part of each back is elegantly composed of curved beech, serving as a frame for a thin woven cane plate. This plate brings a touch of lightness and originality to the whole, while keeping the classic style dear to Wiener GTV Design. To instil a little more modernity to the series, GamFratesi has imagined a version with brass legs, slightly higher than the version with wooden feet. Targa is available in armchair and pouf versions and in 2 widths of sofas. 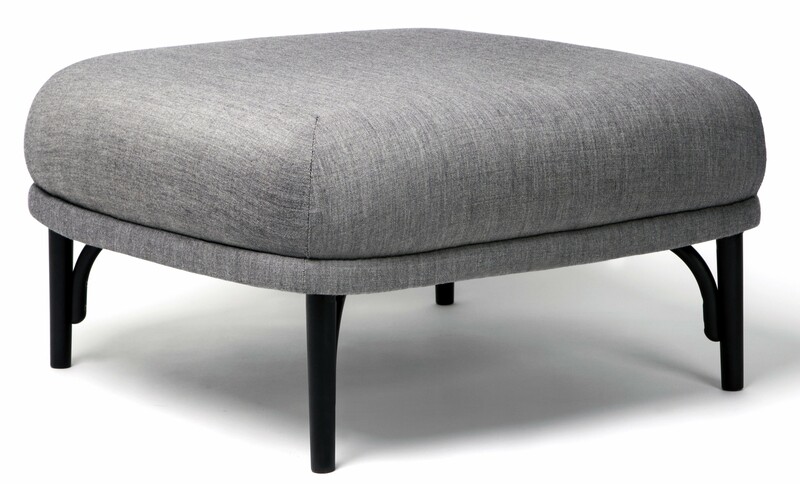 You can customize it with a selection of fabrics, many from the famous Kvadrat upholstery brand. Targa has an engraved metal medal with the name of the brand integrated in the structure guaranteeing the authenticity of the product. Targa is available in a modular version, on quotation.